When you arrive at your study abroad destination, please submit the following forms. Students who are studying abroad for the entire academic year are encouraged to complete the following mid-year evaluation. The U.S. Department of State has been issuing periodic “Worldwide Caution” public announcements since September 2001. This announcement underscores the importance for Americans living and traveling abroad to remain vigilant and security conscious. As a first step in planning any travel abroad, students are encouraged to check the Travel Advisories issued by the US Department of State for their intended destination. Note that conditions can change rapidly in a country at any time. The OIS recommends that all travelers sign up to receive Travel Advisories and Alerts. We advise all students studying abroad to consult the U.S. State Department website on a regular basis. This site includes valuable information about countries throughout the world. We're excited to welcome you back to Smith! We hope your time abroad was a rewarding and wonderful experience. The reentry process can be challenging and will affect each of you differently. Read the following information for helpful advice, guidelines and resources to plan a successful return to your life on campus. Students must be tested for tuberculosis exposure before returning to campus. One of the keys to success in navigating your return is to reestablish a routine and make concrete plans about how you are going to spend your time. Students who studied abroad in Florence, Hamburg, Geneva or Paris will be asked to complete a program evaluation that will be sent via email. 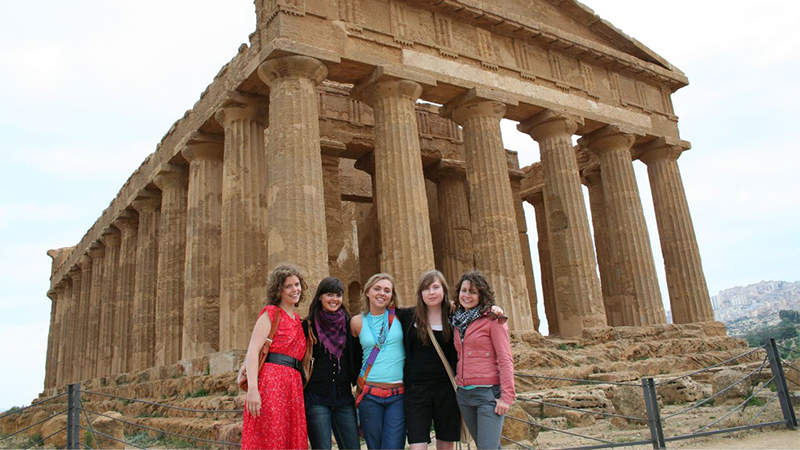 All study abroad students who participated in a Smith consortium program or a Smith-approved program are required to submit an evaluation of their study abroad program to Smith at the conclusion of the program. Students should complete the program evaluation that corresponds to the term studied abroad (fall, spring or academic year). Students who studied abroad on two different programs during the academic year should complete a program evaluation for each term and program (fall and spring). Transcripts will not be forwarded to the registrar's office for posting until an evaluation is received by the Office for International Study. Keep in mind that it may take a little time for your grades to appear on your academic record and on your transcript. If you have questions about transcripts or credits, please contact Assistant Dean Lisa Johnson. Please note: Transcripts will not be forwarded to the registrar's office for posting until a student's program evaluation is received by the Office for International Study. For additional transcript and credit questions, see Credit Rules. Few people anticipate culture shock when they return home, but many students actually find that it is just as challenging to get used to being home again as it was to get used to living abroad. Some students find that they have changed and grown a great deal while abroad, but that home, family and friends have not. This gap makes it challenging to slip back into settings, routines and relationships that were once familiar and comfortable. You should expect a certain amount of this if you have had a full and enriching time overseas. It is important not to ignore the return experience as a facet of study abroad: Readjusting to life at home is difficult and what you're feeling is entirely legitimate. Try to use the same cultural adaptation skills that you developed while you were getting used to being abroad (that is, keep active, maintain a sense of humor, find a support group, expect differences, allow yourself to make mistakes, stay flexible) to make the transition to being home. Be reflective. Give some thought to your return, to the types of intellectual and emotional changes that you have undergone as a result of your time abroad. Expect some negative feelings about your home culture. Try not to be too critical of shortcomings that you did not see before. Remember that there are positive and negative aspects of all cultures—nothing is good or bad, it's just different. Accentuate the positive. Try to identify what you like about both cultures and try to incorporate the best aspects of these into your life. Be patient with your friends and family who are trying to understand your recent experiences. Listen to them, too, about the changes they underwent during the time you were away. Maintain connections with the international life through the many opportunities available at Smith: come to the Lewis Global Studies Center; evaluate your program; interact with the international student population from your study abroad location; help spread the word about study abroad to your friends and classmates; agree to talk to prospective students who are interested in the program through which you chose to study. Submit some of your favorite photos to the Global Encounters Photo Contest. We would love to see them! Set goals for your development. Realize once again that change can be stimulating and this could be your chance to develop in new directions. Set some long-term goals, which may involve finding ways to return abroad. Austin, Clyde. "Cross-Cultural Re-entry: A Book of Readings." Abilene, Texas: Abilene Christian University Press, 1986. Bruce, A. "Culture Shock at Home: Understanding Your Own Change – The Experience of Return." Transitions Abroad.January/February, 1997, p. 79–80. Chisholm, Linda A. and Howard A. Berry. 2002. "Understanding the Education—and Through It the Culture—in Education Abroad." New York, NY. The International Partnership for Service-Learning. Hogan, John T. "Culture-Shock and Reverse-Culture Shock: Implications for Juniors Abroad and Seniors at Home." Paper presented at the Annual Convention of the American College Personnel Association (Houston, TX, March 13–16, 1983). Howell, Leah. "Coming Home: Sustaining the Experiences of Studying Abroad." The Vermont Connection. 1999. Kauffman, Norman L., Martin, Judith N., and Weaver, Henry D. "Students Abroad: Strangers at Home." Yarmouth, Maine: Intercultural Press, 1992. Kepets, Dawn. "Back in the USA: Reflecting on Your Study Abroad Experience and Putting it to Work." NAFSA: Association of International Educators, 1995. Kohls, L. Robert. "Survival Kit for Overseas Living." Yarmouth, Maine: Intercultural Press, 1996. Martin, Judith N. "Patterns of Communication in Three Types of Reentry Relationships: An Exploratory Study." Western Journal of Speech Communication. v50 n2 Spring 1986, p. 183–99. Storti, Craig. 2001. "The Art of Coming Home." Yarmouth, ME. Intercultural Press, Inc.
Woody, Stacey. Programming for Reentry: Issues and Solutions for Study Abroad Returnees. Transitions Abroad. Mar/Apr 1998, p. 107–8. It's Your World: Studyabroad.com's pre-departure handbook for students. Part V covers reentry. Consider writing a departmental honors thesis or taking a Special Studies course with a faculty member who is doing research in your area of interest. You can share what you learned (and how things were different from Smith) by having discussions with your peers and classmates. Attend the Language Lunch Tables at noon in Duckett Special Dining Rooms (check the Smith calendar to see which languages meet which day). Creating social change takes action. Put into action the new skills, attitudes and experiences you have gained abroad. This can take the form of developing an organization, deepening your civic engagement in a course or simply getting involved with already existing community service groups in the community. Center for Community Collaboration: Supports student engagement in meaningful community service work and leadership training that enhances educational experience, meets community identified needs, provides opportunities for reflection and models the development of effective collaborative community partnerships with local nonprofit organizations. Americans for an Informed Democracy: A nonpartisan organization that brings the world home to the next generation of leaders through educational seminars and conferences, leadership summits, town hall meetings, opinion pieces and global videoconferences. Campus Compact: a national coalition of more than 1,100 college and university presidents representing some six million students dedicated to promoting community service, civic engagement and service-learning in higher education. Global Engagement Summit: Builds the capacity of the next generation of global change leaders to cross borders and partner with new communities to produce responsible, innovative, sustainable solutions to shared global problems. Idealist.org: a project of Action Without Borders, a nonprofit organization founded in 1995 with offices in the United States and Argentina. Idealist is an interactive site where people and organizations can exchange resources and ideas, locate opportunities and supporters and take steps toward building a world where all people can lead free and dignified lives. Interested in work and volunteer opportunities abroad? Many options exist for students to find a way to gain new skills and strengthen their cross-cultural understanding outside of the classroom. You may wish to do only a short-term job such as teach English for a year or acquire a more long-term job, but whatever you choose, working abroad can be a very rewarding and enriching experience. Being immersed in a new culture brings a great deal of self-discovery and professional development not easily acquired at home. Please note: Most countries require work visas, so be sure to do your research on what exactly you may need in order to work abroad. Embassy.org: foreign embassies of Washington, D.C.
Volunteer programs are rarely paid opportunities and may or may not be related to your field of study or academic focus. These positions do not generally require specific skill or previous experience, just a willingness to engage and give back. Academic credit is extremely rare for volunteer positions and may or may not be eligible for financial aid. Institute of International Education Passport (IIE): The IIE publishes some of the most comprehensive information on study and work abroad programs available anywhere and their site is one of the best places to start. Transitions Abroad: Transitions Abroad magazine covers all education abroad options from work and study abroad to educational travel. The online version includes a comprehensive collection of in-depth information, including first-hand reports, annotated guides to resources and listings of programs, with excellent search capabilities. U.S. Department of State: While not a directory of programs, this site provides essential information from the diplomatic branch of the U.S. government. The Department of State offers 1,000 internships annually as well as career positions. The Office of the Registrar will assist with credit and transcript questions. The Office of Residence Life can assist with housing and storage questions. Connect with Lazarus Center advisers to put your study abroad experience to work. The Global Encounters Photo Contest and Exhibit provides a venue for Smith students to share their global experiences with the Smith community. From Nepal to Croatia to Cuba, these photos offer a unique view of the world.